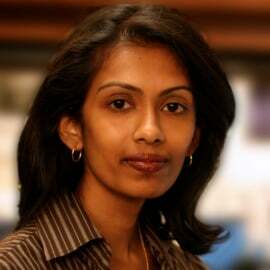 Liz Chacko is a Partnerships Advisor at USAID. She focuses on entrepreneurship / impact investing partnerships and provides advisory services within USAID on private sector engagements. Prior to joining USAID, Liz worked at the World Bank for nearly five years on financial sector development in Africa preparing projects to increase access to finance for small and medium enterprises and managing a regulatory capacity building project. Previously, she was a LGT Impact Fellow providing strategy and operational support to a start-up clean water venture in India and has worked with the Grassroots Business Fund. Liz began her career in the financial services industry working at Drake Management, a global fixed income investment manager, on the client relationship team and at JP Morgan Chase & Co in a variety of business units. Liz earned her MBA and Master of Science in Foreign Service at Georgetown University and her Bachelor of Science at NYU's Stern School of Business.